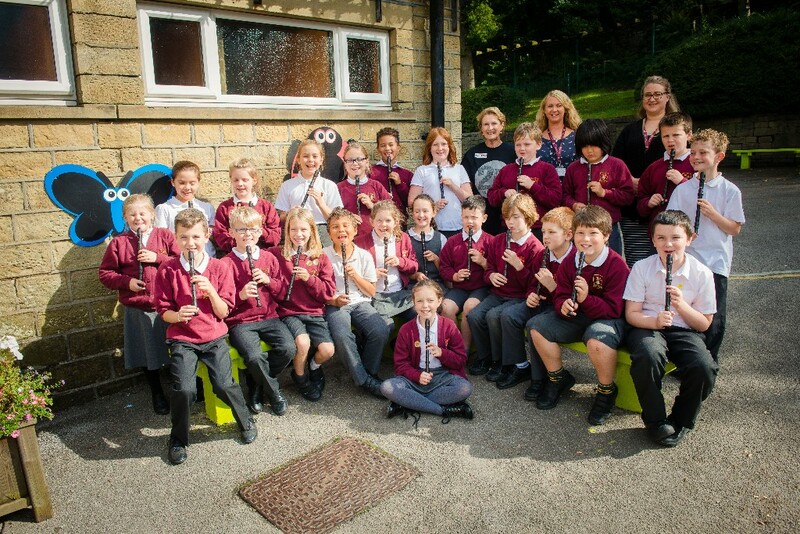 Marsden Jazz Festival have done their bit to support the next generation of musicians with a donation of recorders to Marsden Junior School. Marsden Jazz Festival takes place each October and this year celebrated their 25th birthday. With a real community atmosphere, the festival spills out into the streets and involves not only nationally and internationally renowned artists but also community music groups and youth ensembles. “We had a fantastic festival this year and wanted to do something to help inspire local children to become our headline performers of the future. Many of the children who first visited the festival with their families have gone on to play in school bands on our outdoor stages, and some have even returned years later as professional jazz artists. Well done to Barney and the team for continuing to contribute to Marsden all year round. We look forward to their 26th festival next October...perhaps with a record choir this time? For more information, visit the Marsden Jazz Festival website.